Search engine optimization is arguably the most important element to any organic marketing strategy. 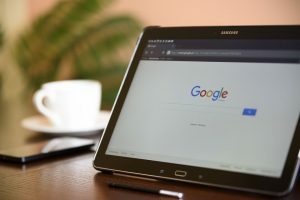 Websites and businesses seeking to expand their exposure in the digital realm must utilize search engines in order to reach people outside of paid strategies. The art of search engine optimization takes time, dedication and strategy in order to reap its fullest rewards, and this often can lead to frustration and despair for those just getting started. If you’re seeking to improve your standing in Google’s results but don’t know where to begin, then continue reading to find out how you can slowly but surely ascend the ranks. In the vast majority of cases, time will be a bigger variable than you might think to achieving the very best rankings. It’s not enough to merely do your best – keep in mind that many others are competing against you for the same rankings. If you can sustain your efforts over a longer period of time, however, slowly you’ll begin to notice that your efforts are paying off in meaningful ways. Most websites that begin targeting specific niches have to wait months before any tangible results are visible. You may find luck in some isolated cases, but remember that this process takes time; just keep pinging URLs to search engines with quality content and you’ll be well on your way. It should go without saying that in order to rank well in Google SERPs, you need high-quality content. But is that enough? Not exactly. In order to ascend the ranks of Google as rapidly as possible, you need to also offer quality content with a unique perspective. Because of this, you’ll want to think of ways that you can present a common idea in a new way that nobody else has done. This will help you to stand out to search engine users and will likely capture a segment of them who will be loyal to your brand going forward. Remember that the more people who find your site via search and navigate it intently, the better Google views the quality of your website. Whether you’re targeting search niches or pinging URLs to content, there is a need for your work to be consistent. All too many brands start off with a blaze of glory, creating large amounts of content in a short period of time. Then…nothing. New posts become sporadic, content schedules are abandoned and ultimately, search engines take notice. Keep a steady pace with your content strategy and you’ll be rewarded: not only by search engines that value consistency over quantity, but by subscribers and visitors who’ll know when to check back in for new content and updates. All in all, being successful in the world of search engine rankings requires many attributes. Most importantly, you need patience, reliability and a unique perspective in order to be in it for the long-term. By creating content from a unique point of view, understanding that improving rankings takes time and adhering to a reasonable content schedule, you’ll be able to gradually improve your standing with Google in any SERP you target.